Hey guys. For this post I originally was going to post about my newfound love for soba noodles. But, today I ran into someone at the bar I thought I would never run in to. 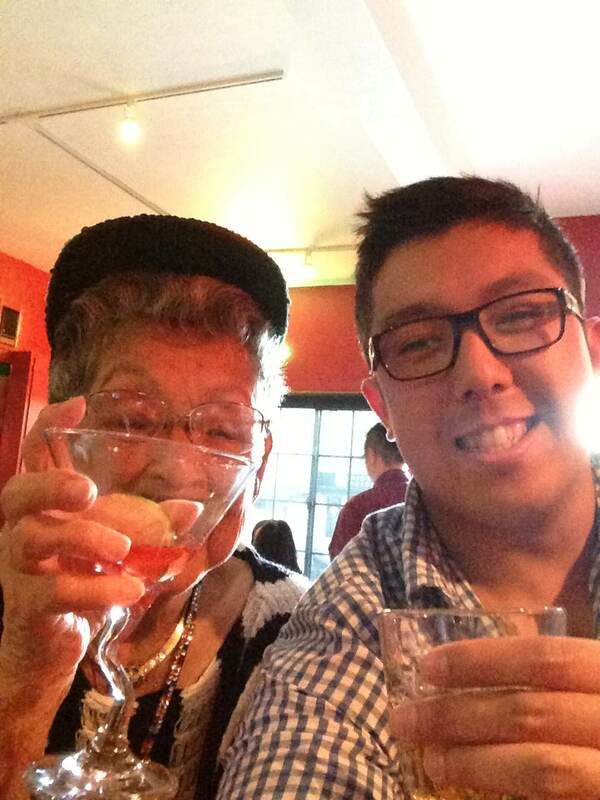 Her name is Sybil; she’s a 90 year old gal that’s sharper than some 20-year olds I know. I always see her around Japantown and she’s an absolute sweetheart. They don’t make em like her anymore I’ll tell you that much. I told her about our blog and I asked her if she had any recipes to share. Sadly, everything she cooks she measures by memory–or whatever feels right. So a recipe was impossible to obtain. This led me to thinking. If our elders aren’t writing anything down and our youth aren’t asking the right questions, how will we know what’s happened in our past? How will we get recipes from generations before? I feel for every story that’s in a textbook, 10,000 are forgotten. But I fear such questions aren’t asked these days. Technology plays a part, since it’s so easy to ask your question online. I feel it’s important to ask your elders about things because certain things you can’t find online. And if not, they’ll disappear forever. It’s easier to Google a recipe than to call your Gramz and ask her for one these days. I urge everyone to seek out recipes for those dishes you remember so well from your childhood before they’re gone forever and they become just that–memories. Google vs Grandmas. I would choose Grandmas. Hopefully you would too.